A National charity for spinally injured men and women. Our services include mentoring, wheelchair skills training and activity courses as well as support in getting back to work or school after an injury. All our services help to build confidence and independence. Sean Rose- x RAF PT Instructor, had a ski accident on duty (Crushed T8). Check out his new adaptive sports. Using sport and other challenging pursuits, Sportability seeks to put the purpose back into lives shattered by paralysis, to get the adrenalin rush back into a lifestyle corralled by a wheelchair, to take the ‘dis’ out of disability and focus on the ability. And to inspire the thoughts, “If I can do this, what else can I achieve?”. The Centre offers a way forward for people struck down by paralysis as a result of Spinal Cord Injury, Multiple Sclerosis, Stroke, Arthrogryphosis, Cerebral Palsy, brain damage, or similar. The benefits of attending the Centre can transform people’s lives – benefits such as being able to feed themselves again, undertake and independent transfer from a wheelchair to a bed, car or loo, through to the act of standing, or even taking steps. Through a free on-line service you can request information about the Centre. The Scottish National Charity for people with Spinal Cord Injury. The Foundation For Spinal Cord Injury Prevention. 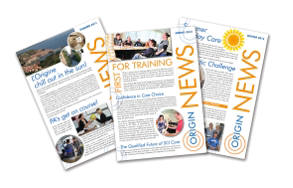 Disability information site based in Australia but covering international matters aswell. 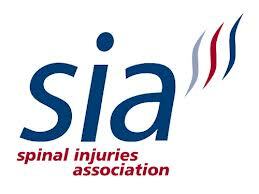 Spinal Cord Injury peer support for patients, carers and those affected by paralysis following a spinal injury. Ransome Mobility are a stairlift company based in Suffolk. We specialise in stairlift rental and stairlift sales for customers in Suffolk, Essex, Norfolk, Hertfordshire, Northampton, Cambridgeshire and Peterborough. An accessible, self-catering holiday let in Poole, Dorset for 4-6 people. We can also provide private tailor-made travel itineraries in Southern Africa.